Lodging offered by Frying Pan Anglers. 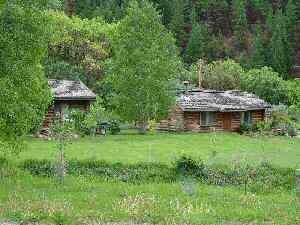 We own and operate Taylor Creek cabins. 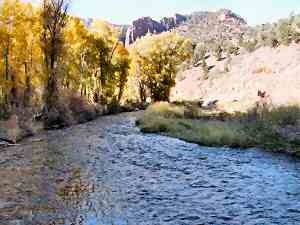 They are situated 5 miles from Basalt on the Frying Pan Road at the confluence of the Frying Pan River and Taylor Creek. As part of renting the cabins you get access to almost a mile of private water on the Frying Pan. This private access to the Frying Pan River is adjacent to the cabins. Occupants of the cabins have priority fishing rights to this private water. We do allow people to fish there if there is no-one staying in the cabins. You just need to inquire at the shop in Basalt. The cabins are fully self-contained. 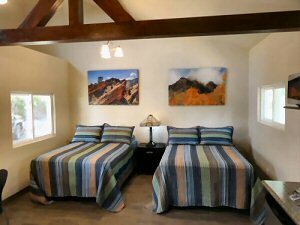 Each has 2 bedrooms with a queen size and 2 single beds. There is a full kitchen and the ample living area has satellite television and telephone. For full details of rates click here. In addition we have a house available for larger groups. Please click on the website for more details or contact us. Contact: Robyn at (970) 927 9927. We have now completed the Frying Pan River Lodge. 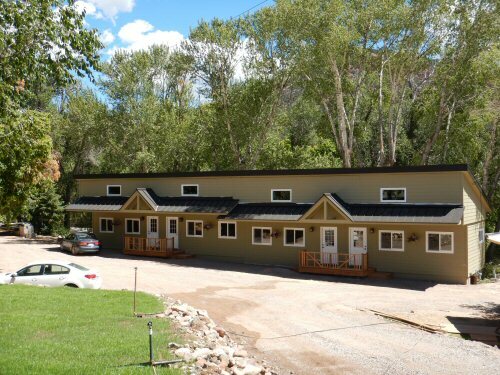 This is a small motel complex in Basalt. We have 4 motel units which will each sleep 2 people. We have a house and a river cabin as well. It is located opposite our new shop in Basalt on the Corner of Riverside Drive and Midland Avenue. For more details of the Frying Pan River Lodge go to our website. For more photographs and details on the cabins and activities in the area see the website for Taylor Creek Cabins. For more details on the cabins Click Here.